Need a 3D rendering design & graphic designer? In Wyoming WY, the reach of Capital Exhibits Design and Exhibit Developing House extends to both sides of the Continental Divide. We are rated one of the top 3D rendering design & graphic design companies and we proudly offer our services in Cheyenne, Casper, Gillette, Laramie, Rock Springs, Jackson, WY and all the surrounding areas. We don’t just suggest the best graphic design idea to meet your needs. Here at Capital Exhibits, we “Build Your Best Image” through thorough planning and execution. We also provide a wide range of printing services on fabric, Vinyl, static cling and more. No project is too big or too small when it comes to our 3D design & graphic art design services. While you may feel overwhelmed organizing your company’s major event or a series of trade shows, trust Capital Exhibits to handle your graphic design images & advertising. Take advantage of our graphic design business card services and eye-catching brochure design work. 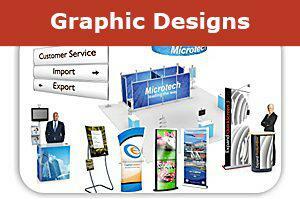 Let our banner design artists take your image to a higher level. We work with you in stages of creative development and proofs to ensure the essence of your brand is communicated perfectly. By using the latest graphic design trends & techniques, Capital Exhibits will bring your visions into reality. With our team of specialists in exhibition and fair graphic design, we will make sure you stand out at your next major event. Do you already have logos or graphics but feel like you are missing that special touch only offered by professional graphic design firms? We can incorporate or adjust those existing graphics to fit seamlessly into your new high quality design. We can also collaborate with your own graphic design ideas to cultivate some truly original concepts. We offer a wide variety of trade show displays such as Table Tops, Back Wall Displays, Hybrid Displays, Outdoor Displays and much more. Think about how technology is quickly changing the way businesses interact with their target audience. Don’t be left behind! We can incorporate unique QR codes into your designs to instantly connect your product to the tech savvy customer in a whole new format. 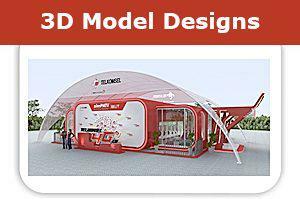 We understand the need to watch your budget for trade show marketing and exhibit structures. We can develop a materials and design package that directly impacts your bottom line. Our in-house team of contemporary graphic designers is able to cut down on turnaround time and maintain quality control. We want to know what we can create for you. We’ve got graphic design quotes & rates, logo design prices, or even t shirt graphic design prices. Contact us today! Call (866)730-3746 to speak directly with a member of our team or send us an email at sales @ capitalexhibits.com.